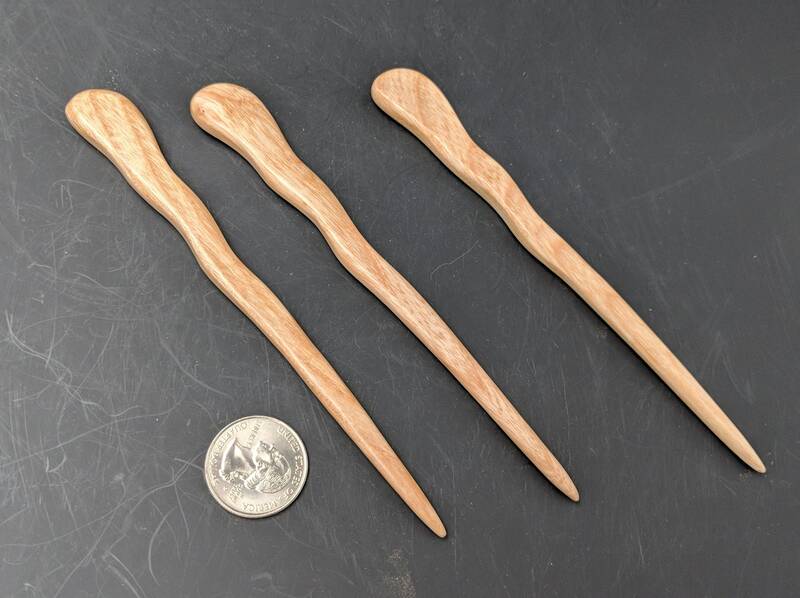 These are the shortest Hair Sticks / Shawl Pins I make. 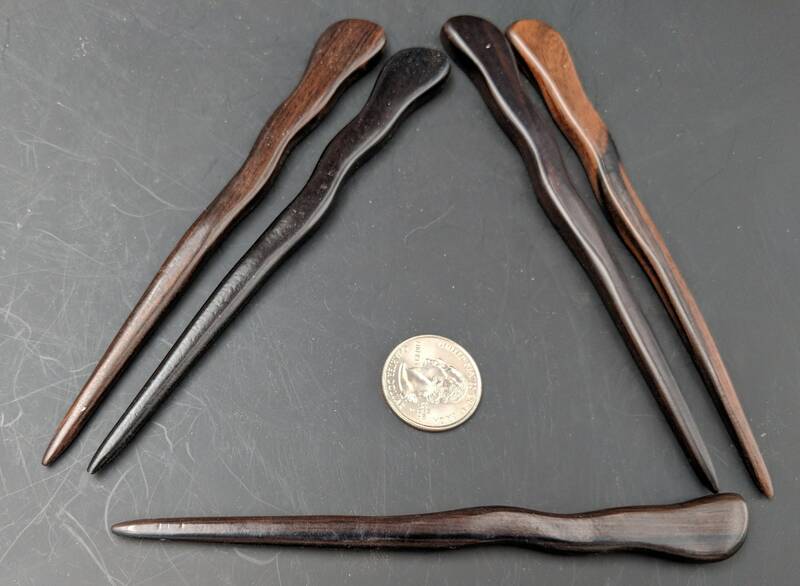 The Pictures show four pictures of the Ebony and Three pictures of the Ash and Narra. 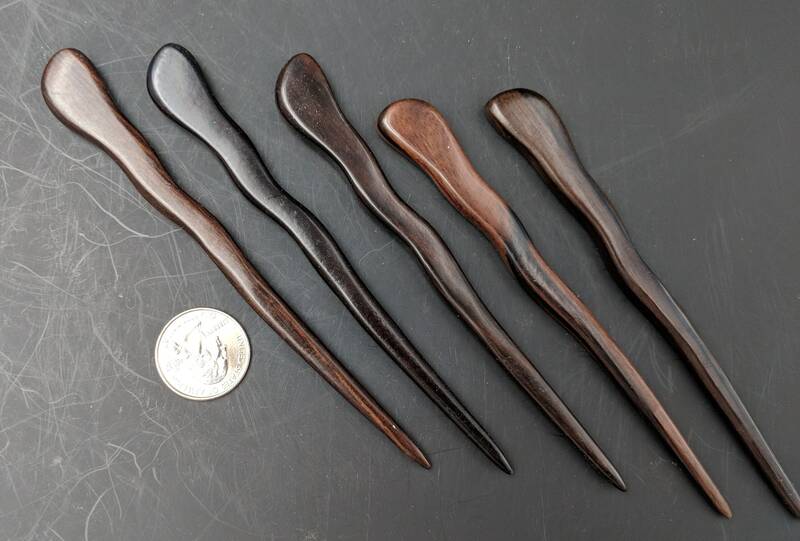 This Hair Stick is Stronger and the wood is much harder then my regular Indian Ebony Hair Stick. 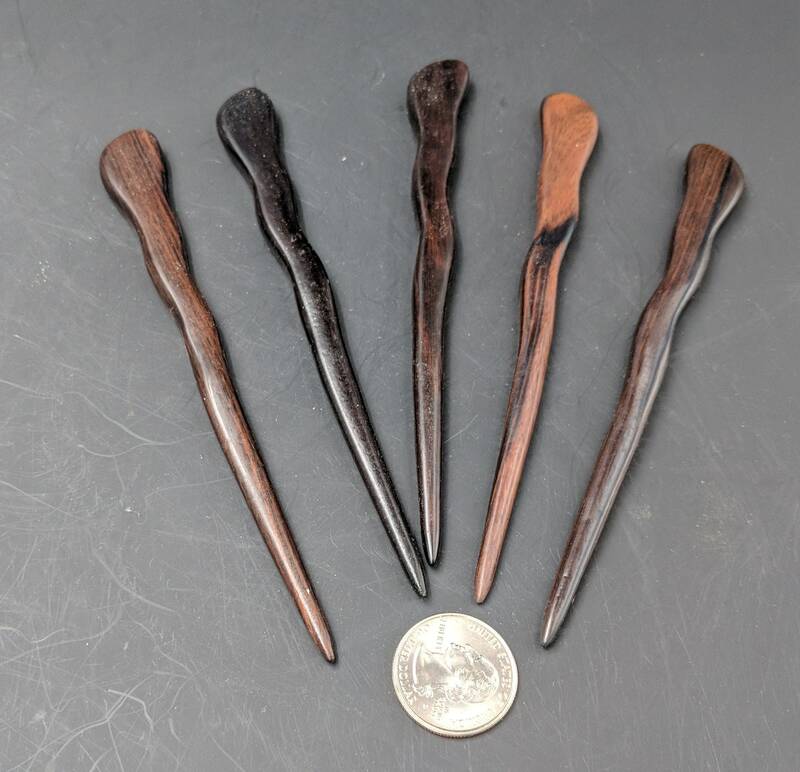 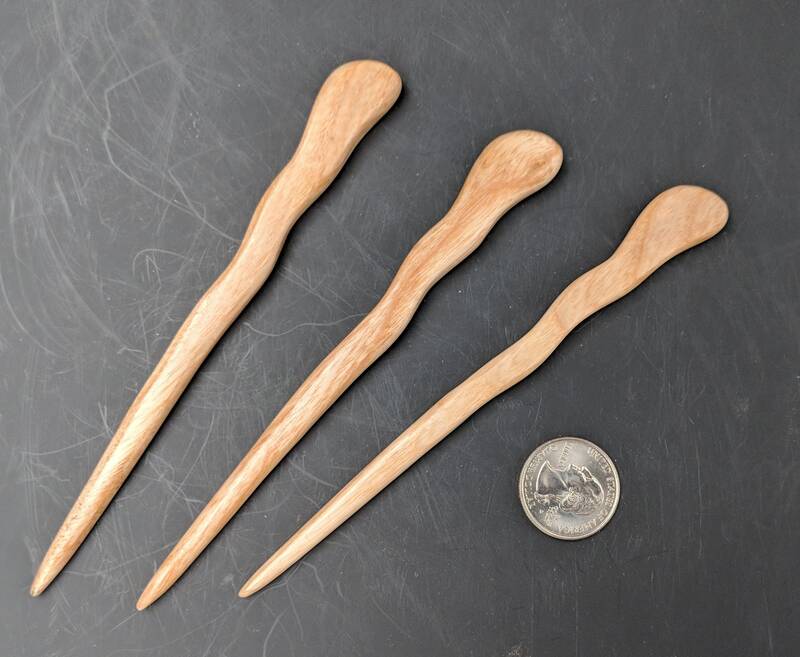 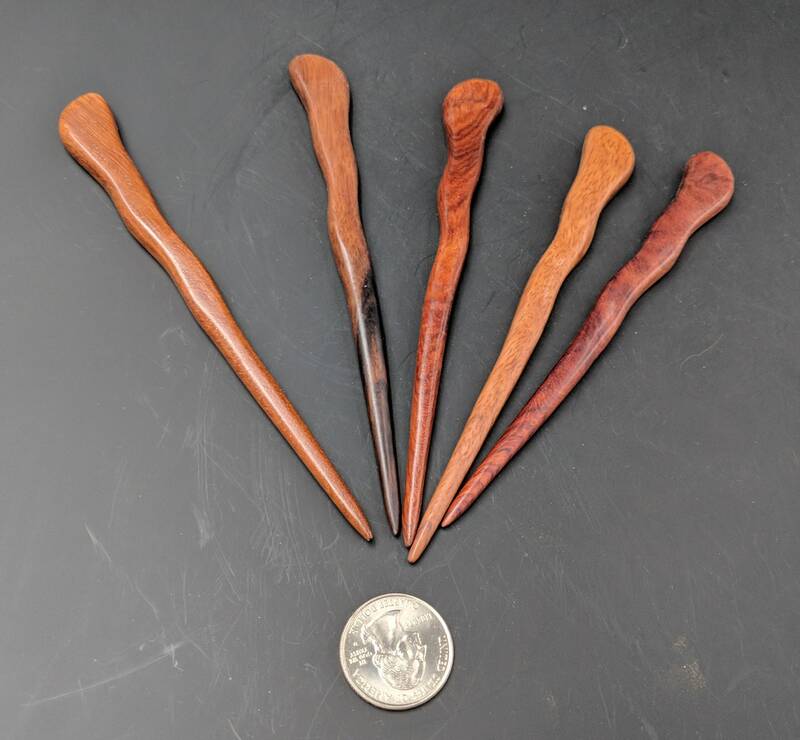 These Hair Sticks are being made out of SE Asian Ebony as well as Ash and Narra and are finished with a lacquer coating and rubbed out to a semi-gloss finish and waxed with Johnson Paste wax. 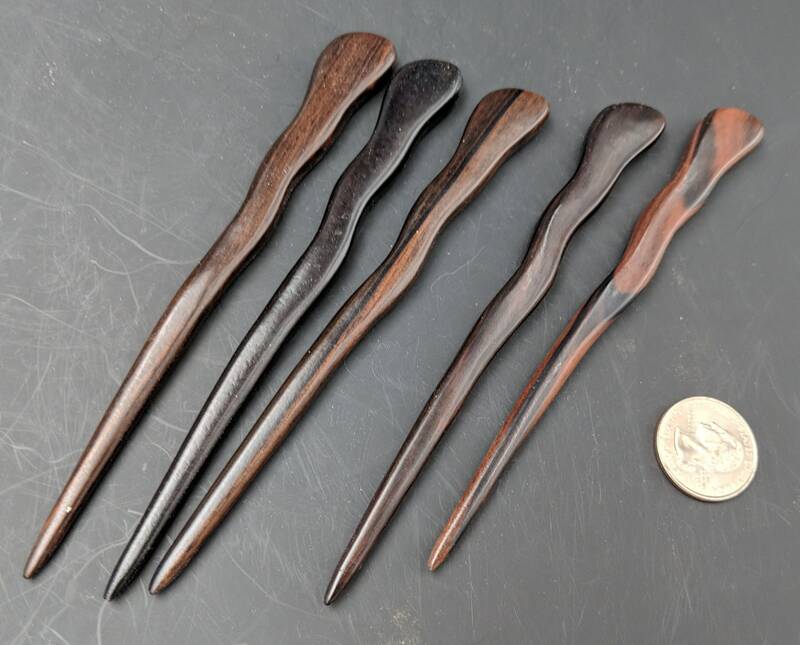 The listing is for only one Hair Stick. 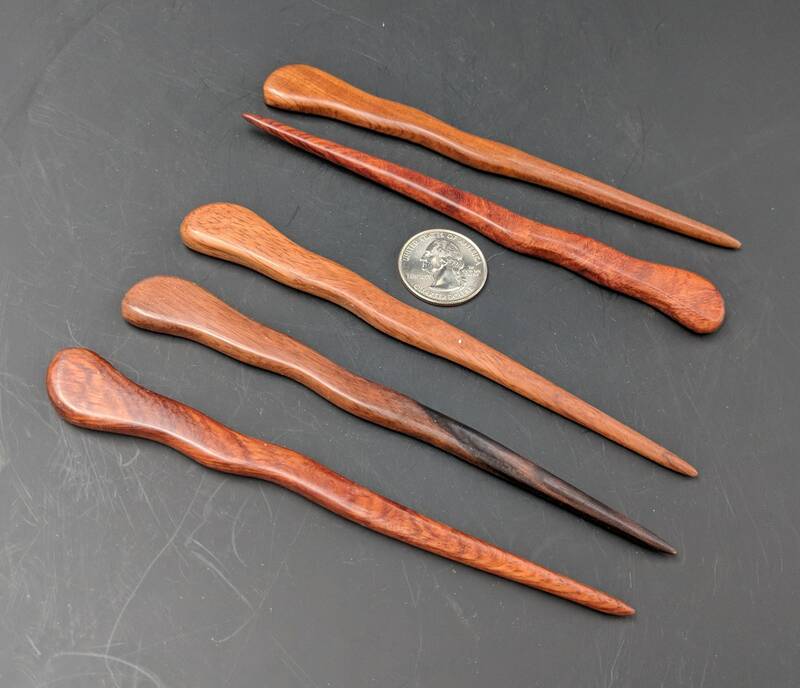 Quick shipping. 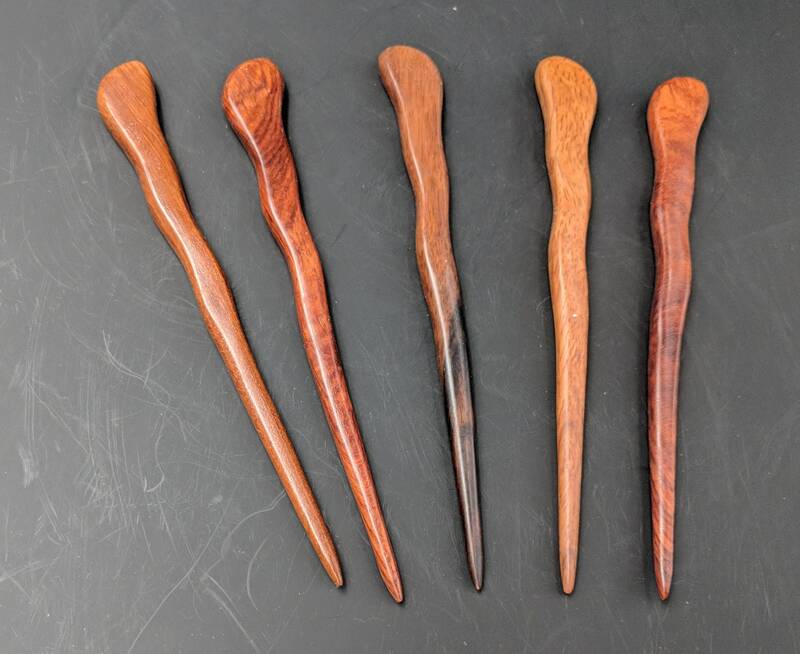 Nice wood pieces. 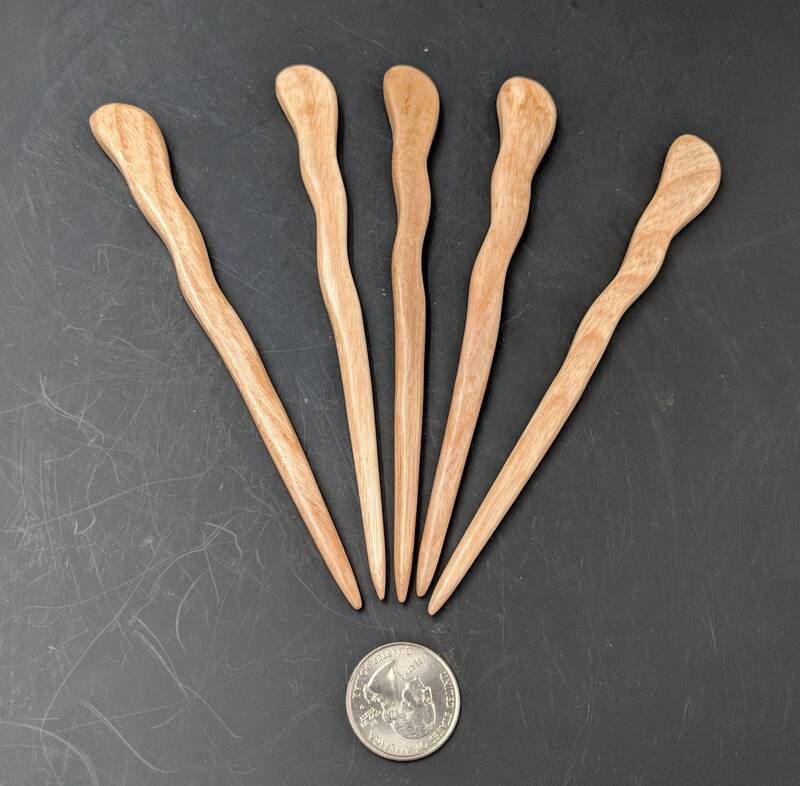 Extra gift was very appreciated!